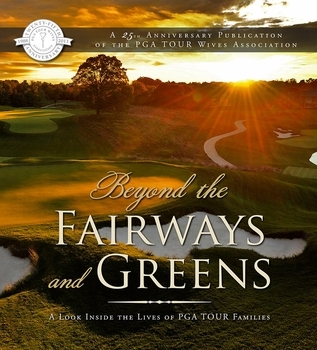 The book highlights lots of golfers and their families... past and present. There are family recipes and many personal stories about life on the road. 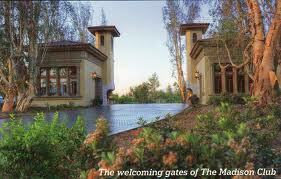 The money goes to the Wives Association to help support what we are doing in each city that we visit. Please, please check it out! Today Scott spent the day playing in the Crane's pro am. I went last year and it was pretty incredible. I believe they raised $1.2 million in 30 minutes. Ben and Heather are a great couple and support many great organizations. One of the several organizations this event supports is Love 146. Check out Love 146 here! I'm so proud of my handsome fella! I headed out there early this morning but due to flight debacles I didn't quite make it. Happy to have him healthy and getting his revenge on the West Coast swing!! He's got a couple more weeks out then he's home for daddy duty. 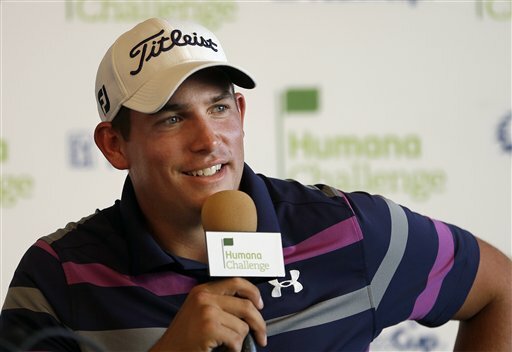 LA QUINTA, Calif. – The West Coast swing hasn’t been kind to Scott Stallings throughout his young career, though his five-shot lead here at the Humana Challenge figures to change that. Two years ago, he began his first PGA Tour season with five consecutive missed cuts. Last year, at this very tournament, he tore cartilage in five of his ribs, a freak injury – “a comedy of errors,” he says – that nearly cost him his entire season. A few weeks later, Stallings was playing in the pro-am at Riviera when he drove into thick, wet, juicy rough on No. 11. He slashed out, clutched his midsection, dropped to his knees. His caddie turned and walked off the course. They were done. Well, for a few months, anyway. Stallings’ victory at the 2011 Greenbrier Classic exempted him into The Masters, and he wasn’t about to skip his Augusta debut, even against his doctor’s recommendation. Stallings told him flatly, “Man, even if you put me in a body cast, I’m going to play Augusta.” So he played his first Masters – and made the cut – while on the painkiller Celebrex. Stallings says he never fully recovered from the injury until the Memorial, where he led after the first round and was pain-free. A month later, he won the True South Classic, the event played opposite the British Open. Often overlooked in the best-player-under-30 discussion, Stallings is eyeing his third PGA Tour title in the past 19 months – the same number won by Tiger Woods, Webb Simpsonand Dustin Johnson. The only player with more Tour wins during that span: world No. 1 Rory McIlroy. Stallings also would become the sixth 20something with at least three PGA Tour wins, joining Johnson, McIlroy, Simpson and Anthony Kim, though each of his titles would have come in second-tier events. He can’t play much better at PGA West. Staked to a five-shot lead over five players, and bogey-free through 54 holes, Stallings could become the first player to win a tournament without dropping a shot since 1974. A victory here is expected to move to Stallings to No. 51 in the Official World Ranking, making him a near-lock to be in the field for next month’s WGC-Match Play. Stallings and his wife, Jen, are expecting their first child – a baby boy named Bradley Finn – a week earlier. The couple grappled with how to tell friends and family of their new addition, so Stallings told his bride that if he won in Mississippi in July, he would share the news. With everyone. So there he was, on live television, informing the Golf Channel audience that he would soon become a father. Another victory Sunday would change that narrative, steal the spotlight. Until the baby comes, of course. Wishing everyone a happy and healthy 2013! Should be a BIG year!